A theme sprouting up in the last few albums has been veteran artists drastically changing their sound. 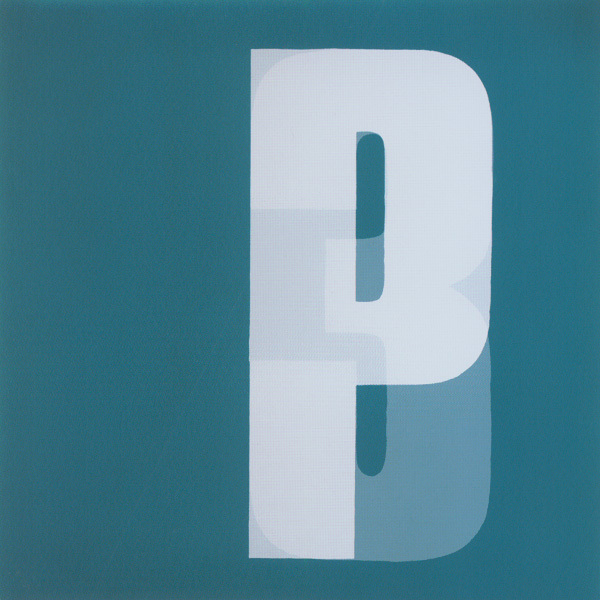 But while PJ Harvey and Radiohead did so by choice, as a conscious effort to experiment and challenge listeners, Portishead were almost forced to construct a new identity for 2008’s Third. After releasing Dummy in 1994 and a self-titled album in 1997, the band went their separate ways, focusing on solo efforts over the next few years. While they did that, the trip-hop sound that they allegedly pioneered mostly disappeared, or was misappropriated by bands that Portishead really didn’t care for. Facing the challenge of reinventing themselves after over a decade, Portishead deliver tremendously. I think Third is the best comeback album of the decade and it might be even better than their undisputed classic Dummy. While Dummy was noted for perfecting a certain sound, Third benefits from an increased array of influences and a wider musical palette. The band dropped the sampling that they were known before on their first two albums, constructing all of the music themselves and incorporating elements of folk and experimental rock to their already established moody electronic sound. Third is much more cold and abrasive than Dummy, which was dark but also had a smoother sound. This isn’t a “chillout” album like Dummy was, which is fine by me. A lot of the songs are surprisingly noisy, with distorted drums and various racket from electronics. Like before, what brings it all together is Beth Gibbons’ voice, which is still incredible and brings a human element to Portishead’s sometimes alien sound. “The Rip” is probably my favorite Portishead song, with a repeating arpeggio that starts out as folk but grows into an epic electronic climax behind Gibbons’ vocals. “Machine Gun” is the album’s most abrasive moment, as distorted drum machines battle it out with the electronics while Gibbons sings her typically depressing lyrics. Overall, I find myself with little to say about this album, other than that you should listen to it. Portishead is a mysterious band that doesn’t really lend itself to fanciful narratives and storytelling. They just quietly and professionally make really great music. Third might not be considered as influential as Dummy was, but it’s maybe their most impressive work, one that stands on its own without any of the labels that had previously been attached to the band’s music. 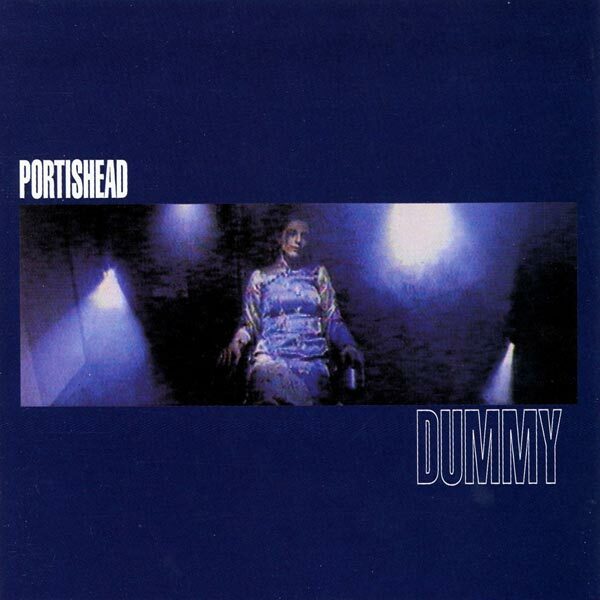 Released in 1994, Portishead’s debut album Dummy is one of the most groundbreaking and influential albums of the decade. Its sound — which, along with Massive Attack’s album Blue Lines was credited with inventing a downbeat electronica genre called “Trip Hop” — was relatively new, but the album is also notable for how it took disparate elements of music and made them into a cohesive whole. On her own, singer Beth Gibbons would just be another mopey female singer-songwriter (albeit a very good one). Her bandmates, Adrian Utley and Geoff Barrow, would just be two more British guys who like sampling from their large record collection, spy soundtracks, and hip hop beats. Together, those forces create Dummy, and it’s one of the most fully realized debut albums from any band. Perhaps more than any other, Dummy is able to evoke a very specific feeling of setting and mood — it’s hard to listen to its gloomy electronica sounds and distinct crackling vinyl without thinking of being a sad person walking the lonely streets of some foreboding town in the middle of the night while it’s raining. A lot of Dummy‘s acclaim is based around the fact that it helped to popularize the “trip hop” genre. However, Portishead rejected the term, and it’s hard to blame them. It strikes me as one of those media buzz terms for a sound that doesn’t really have an actual scene attached to it. I tend to think of Portishead’s music as far too individual and unique to be associated with a larger genre, and I don’t think it’s a coincidence that their music has aged better than most of the other stuff that was being labeled as “trip hop” around that time. First and foremost, I think of Dummy as a tour de force by singer Beth Gibbons. It’s fairly obvious at this point that I have a deep, perhaps disturbing love of female singers. As a result, I’ve heard a lot of them, and I’m not sure if any gives as strong of a performance as Gibbons does on Dummy. It’s not just that her voice is amazing, but also how she is able to bend it and twist it to fit so many moods within one album. On one song, she’ll sound like a seductress (“Numb”). On the next, she’ll sound like she just lost her best friend and all hope for living (“Roads”). Barrow and Utley are able to craft the perfect compliment to Gibbons’ often heartbreaking songs with a variety of instruments and samples. Opening track “Mysterons” uses a theremin better than any song since “Good Vibrations.” “It’s a Fire” (a personal favorite that inexplicably wasn’t on the UK release of the album) has an organ and chilly strings to back Gibbons’ lament (she sings “this life is a farce” in the chorus). Perhaps the best track is the closer, “Glory Box”, which is certainly the most sultry song on the album. “Give me a reason to love you/give me a reason to be a woman” Gibbons croons over a rare Adrian Utley guitar solo. While Dummy is mostly a bleak, depressing album, it at least ends on a vaguely hopeful note (kind of). There’s an aura of mystery surrounding Portishead that I think, in a way, makes their music even better. Little is known of Gibbons personally, as she’s shunned most interviews and rarely speaks of any motivation regarding her lyrics. Not knowing exactly what she’s so sad about gives the songs a more universal feeling that lends more power to her words. The band themselves have done a good job avoiding overexposure, as they’ve released just two albums since Dummy and seem mostly non-committal about recording another any time soon. Given the strength of Dummy and their other releases, I think I’m okay with that.